« „Hin und Wech“ = Nice One ! Beside Paul and Valentin another antifascist comrade is locked in a german prison at the moment, a case which didn‘t get too much publicity yet. Since december 2014 Schubi, football supporter and antifascist activist from Rostock, is doing time in JVA Waldeck. He’s accused of attacking cops on the verge of football matches and being a „leader“ of a militant antifascist task force. Again it’s obvious that police and prosecution want to blame a well known troublemaker for breaking the ranks of the ruling order. His trial just impends and a show trial must be feared. So help to spread the information about Schubis situation and, as always, give support by writing letters and postcards. 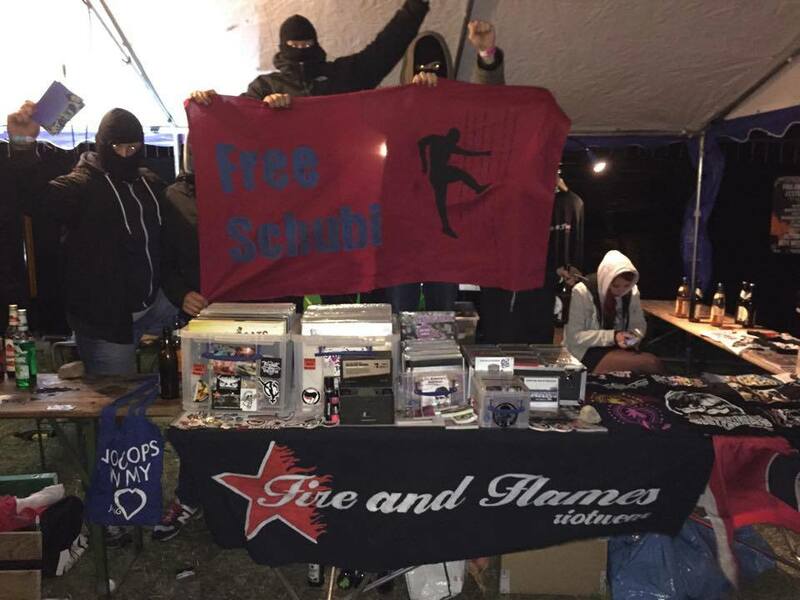 NEVER FORGET OUR PRISONERS – FREE SCHUBI!